Not only did Barça beat Tottenham at Wembley, but they did so playing the kind of football that it’s impossible not to fall in love with. Their dominant passing game in one of the temples of the world game even had the home fans gushing with admiration. 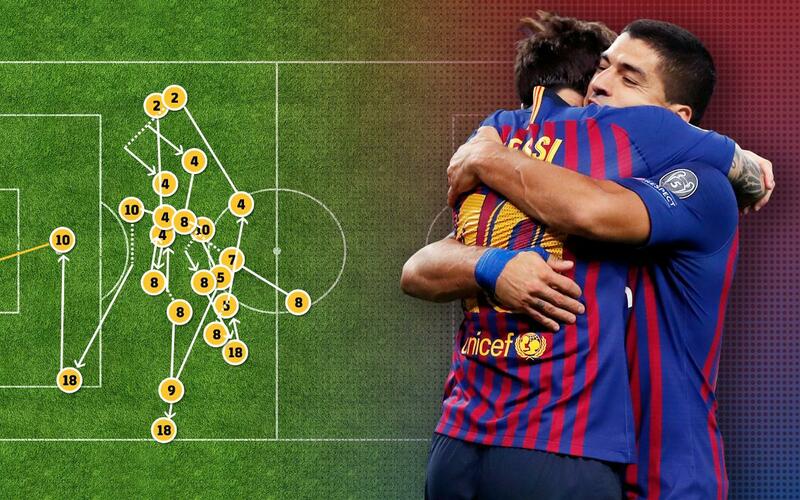 Leo Messi led the way, and his 55th minute goal to make it 3-1 was the icing on the cake of a performance to savour. It was the culmination of the archetypical ‘made in Barça’ build-up. It was not unlike the one againstPSV Eindhoven in the opening Champions League fixture. The 63 seconds prior to the Argentinian putting the ball in the net featured a staggering 22 passes involving no fewer than eight different players. Arthur started it off, and all of Coutinho, Messi, Sergio, Rakitic, Semedo, Luis Suárez and Jordi Alba all had touches before the superlative Messi tucked the ball well out of reach of flailing keeper Hugo Lloris. It more than made up for the frustration of twice hitting the post earlier on, and after the uncertainty caused by Harry Kane’s goal for Spurs put the Catalans firmly back on course for a fourth competitive win in four attempts in the famous London stadium.